Collects Identity Disc #1-5; Ms. Marvel (2006) #40-41; Hulk (2008) #14-17 and #21; Amazing Spider-Man (1999) #611; Doomwar #5-6; Hulked-Out Heroes #1-2; and Material From Shang-Chi: Master Of Kung Fu (2009) #1, X-Force Annual (2009) #1 And World War Hulks #1 — Plus Deadpool Subplot Pages. 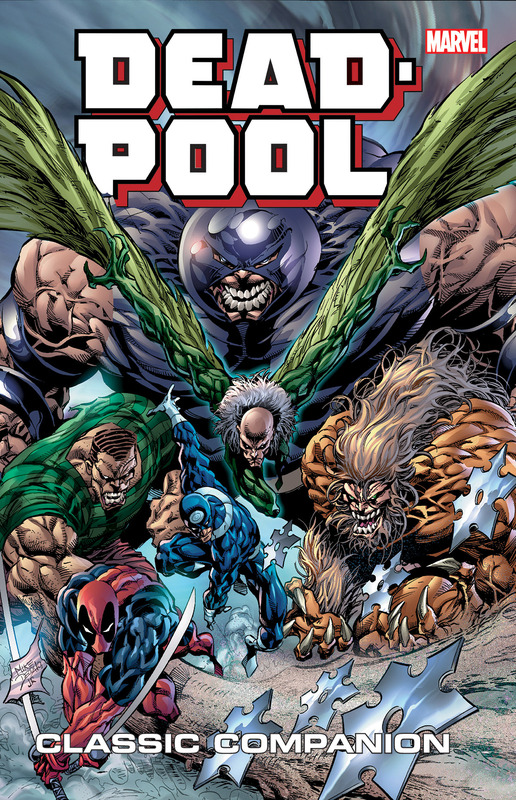 Continuing the complete collection of Deadpool comics — including team-ups, guest appearances and gratuitous cameos! 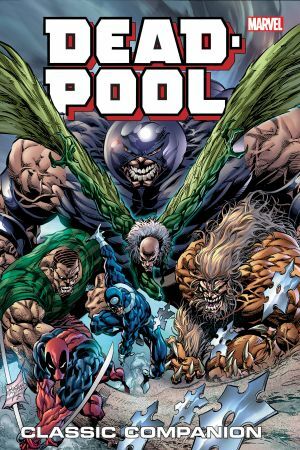 Wade Wilson is forced to work with Sabretooth, Bullseye, Juggernaut, Sandman and Vulture in search of the priceless Identity Disc — and joins Red Hulk’s lethal Code Red alongside Elektra, Punisher and more! 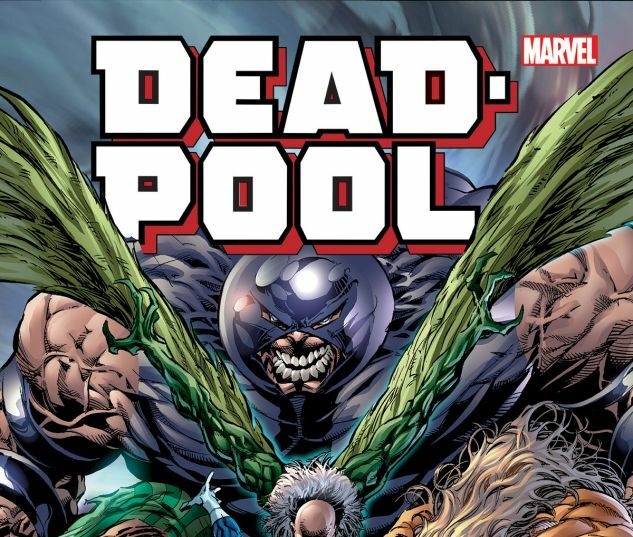 Deadpool turns the tide in Black Panther’s war against Doctor Doom, while Necrosha calls for an Undeadpool — but are you ready for the time-traveling Hulkpool?! Plus: Wade quips with Spidey, competes in a bizarre crosscountry race against Shang-Chi, meets a dark Ms. Marvel, battles White Tiger and annoys Wolverine!